Reservations required. Space is limited – call today! Ever wonder what’s behind the doors that say “Staff Only” and “Do Not Enter”? See spaces seldom open to the public, and learn about changes over its 235-year history. 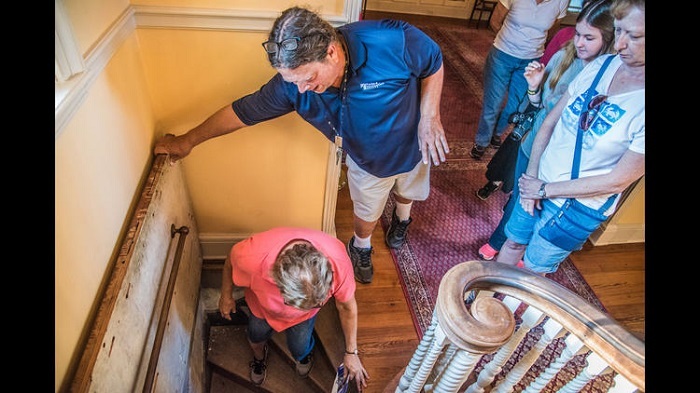 Tour includes narrow winding staircases and optional step ladders. Older clothes and comfortable shoes recommended. Cost: Adult: $15; Friend of Montpelier & active-duty military: $10.